Angelcare AC117 Baby Movement Monitor with Sound allows parents to relax while your little one is drifting off to dreamland. With this baby monitor, you will have complete peace of mind that baby is safe. Why should I buy the Angelcare AC117 Baby Movement Monitor With Sound? The Angelcare AC117 Baby Movement Monitor with Sound features Angelcare's new completely wireless Movement Sensor Pad. As well as this, this piece of kit includes the all-new low-profile nursery audio and temperature sensor unit. Plus a newly designed Parent Unit, too! You can really be assured that your little one can kip whilst you have the ultimate peace of mind. This baby monitor from Angelcare allows you to relax while your little peanut is sleeping- Put your feet up and binge watch some TV shows Why not? The Angelcare AC117 Baby Movement Monitor with Sound monitors audio and movement which allows you to respond to baby's needs as and when. Additionally, the patented Movement Sensor Pad is designed specifically to be placed under your little one's mattress where it senses subtle movements whilst they sleep in peace. Plus, the Parent Unit alerts you if no movement is detected after 20 seconds. The completely wireless Movement Sensor Pad gives parents concerned with cords or cables a peace of mind. You can rest easy knowing that this pad is completely self-contained and links wirelessly to the nursery audio unit. Additionally to the wireless Movement Sensor Pad, the AC117 also includes the new low-profile, nursery audio and temperature sensor unit and a freshly designed parent unit. This Angelcare system features features a digital temperature read-out on the parent unit and two-way audio, too. So you can speak to baby from another room! The Angelcare Movement Sensor Pad can be used with most baby mattresses. However, it cannot be used with memory foam mattresses with a hollow frame. 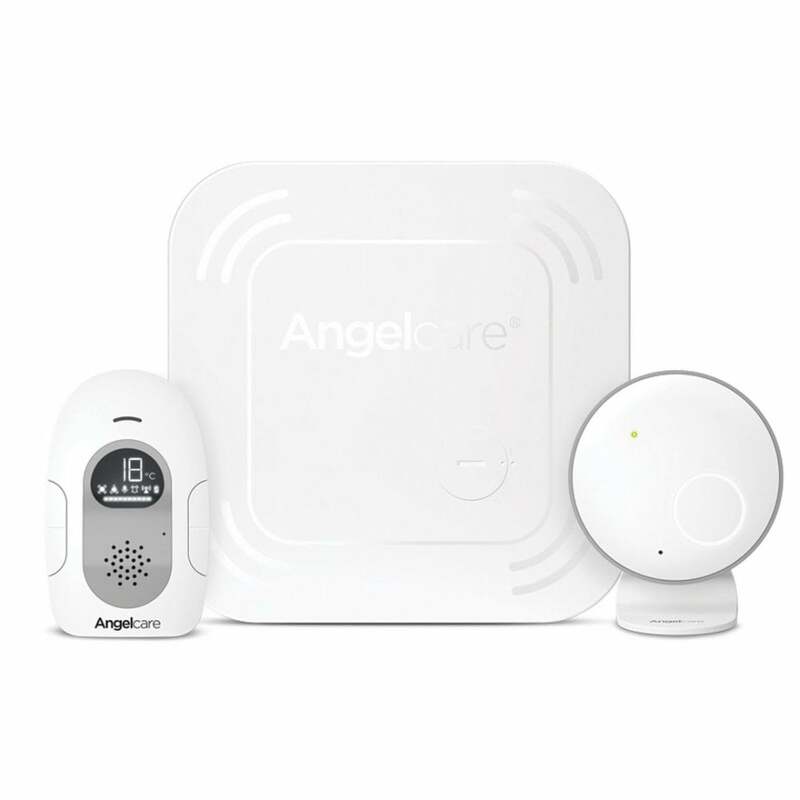 What are the specifications for the Angelcare AC117 Baby Movement Monitor With Sound? In case of monitoring the premature baby or babies considered to be at risk, should be carried out only under the supervision of a Doctor or Health Professional. The Angelcare AC117 Baby Movement Monitor should NOT be used as a medical device, nor as a device to prevent Sudden Infant Death SYndrome (SIDS).